Welcome to Zeret kitchen, a family run restaurant since 2004, with a strong commitment for authenticity, freshness and quality. 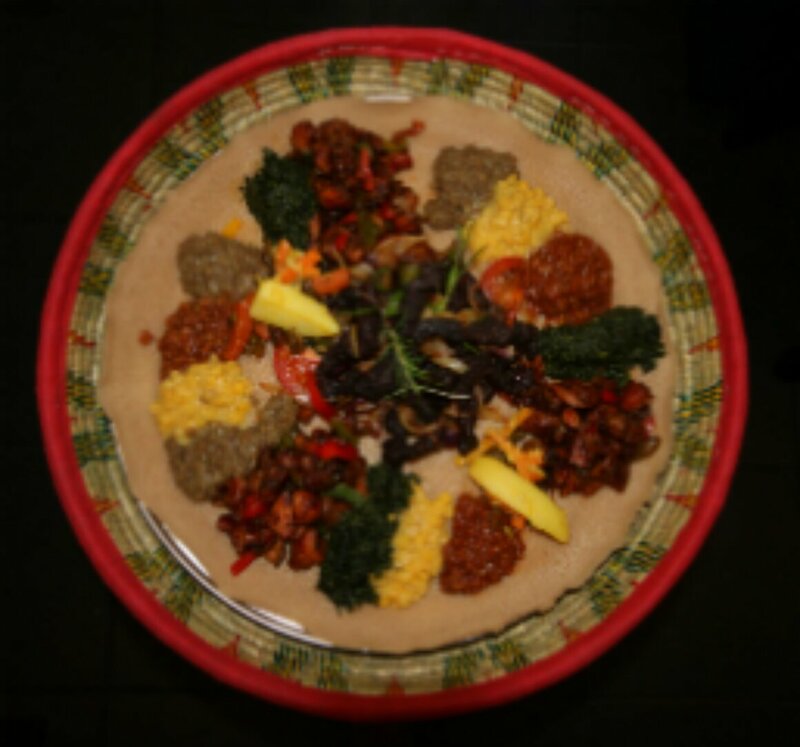 Our aim is to source, cook and serve traditional Ethiopian food with a highest degree of integrity. We cater for both meat eaters and vegan equally. One of the great attributes of traditional food is that it is the result of innovations, experimentation by successive generations of people which enhanced its quality, test and variety. The core principle of traditional cooking is that most ingredients should be sourced locally so that the food is not only fresh and testy but also healthy. There is nothing hidden and untraceable in the Ethiopian traditional cooking; it is simple, uncomplicated and above all free from any preservatives and colouring agents, with a good balance of meat as well as vegetarian dishes. Our coffee is prepared in a traditional way, in a manner which has been known for generations and which we believe what proper coffee should be, before the Italian came along and invented the modern espresso machine. From roasting the green coffee beans to brewing and serving it with traditional pot (jebena) accompanied with popcorn and frankincense it is a process which tells a great deal of story. Our mission at Zeret kitchen is to share with you this great experience.